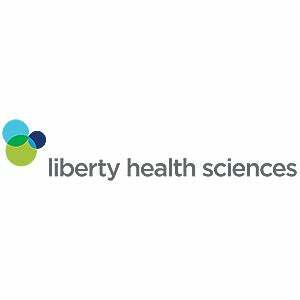 Liberty Health Sciences is a multi-state operator that leverages its commercial greenhouse knowledge to deliver high-quality, clean, and safe pharmaceutical-grade cannabis to consumers. The stigma that exists with cannabis being illegal federally, although more accessible as states realize the enormous health implications and understand that it should be available to all consumers. We see people with the perception that “my use of cannabis will be judged by society and their friends.” This is why we put education as a top priority in everything that we do. Our Cannabis Education Centers and our team go through rigorous training to provide the best service to our customers to ensure that every consumer becomes an extension of our philosphy; that cannabis can help people and improve lives. Cultivation-LED’s are used in all LHS greenhouses to ensure the lowest level of power consumption, fully-automated technology that is LHS developed, one of the most cost effective producers in the industry. LHS is reinventing the patient experience throughout our CECs. Our new website launched and is one of the most advanced in the industry. Our new delivery service provides next day delivery to the entire state of FL, entering new states quickly, and will be in MA very soon with other states to quickly follow. LHS will be a leader in the CBD space as regulations will soon be lifted. There are several hurdles we needed to overcome (and still do), but staying true to our core and focusing on our consumers has helped us with some major wins in changing the perception of cannabis use. There are still regulations that exist that are challenging for all companies to have a voice. As we continue to educate and challenge regulations to reach our consumers, we are seeing some major wins as policies continue to evolve, to help us continue to reinforce the message that we are dedicated to improving the lives of our valued customers. Our key motivation and at the forefront of all we do, is helping people and offering alternative ways to improve their lives. This is what inspires us every day. One prime example is our veteran’s program. We offer the highest every day discounts to veterans, in Florida. LHS is working with the Veterans Cannabis Project to support research initiatives to support these brave people. We are devloping strong relationships with consumers and physicians and our testimonials are a testament to this. Changing peoples lives for the better is what drives every member of the LHS Team. We are so very proud of the quality of our products and the entire Liberty team. LHS employees are some of the best in the industry and share a common goal. This is the strong focus on our consumer. Our technology and production facilities are leading edge and most importantly, the value that we bring to our consumer’s lives. We are inspired by creating value and return to our shareholdrs and the progress that we are making to grow the Liberty brand to be accessible throughout the country.